Just a quick post today. 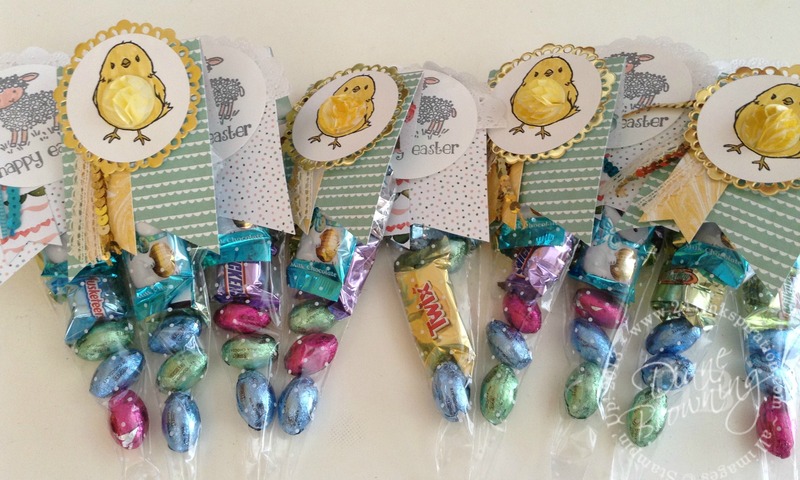 A couple weeks ago I shared an Easter treat bag that I’d come up with. You can see it here. 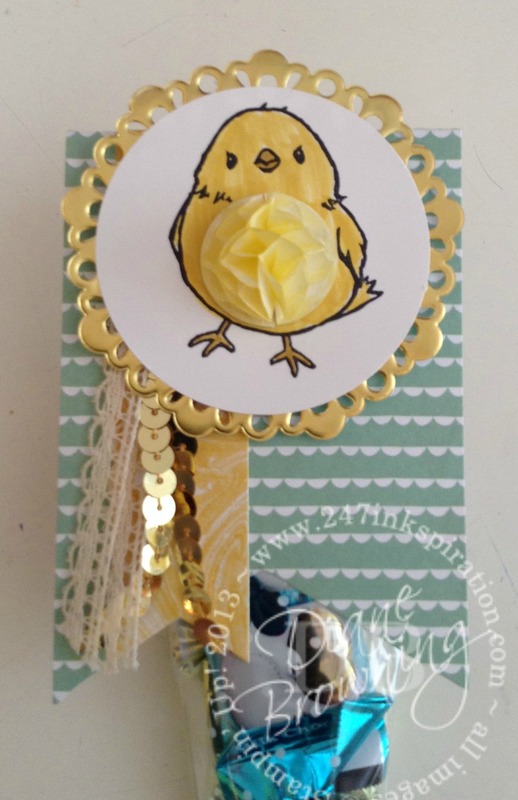 Here is another version of this treat bag with a cute chickie stamp. So cute! He looks like he has a fuzzy belly! I love these adorable honeycombs. They come in white, blue, and pink. I colored the white ones yellow. Here are all the Easter treats I made for all of the place settings today. The little chickie is from the Honeycomb Happiness stamp set and it’s free with $50 order pretax and shipping.Sale-abration ends in just a couple days,but you still have time to get this stamp set!